Yes, no es un mito (it’s not a myth)! 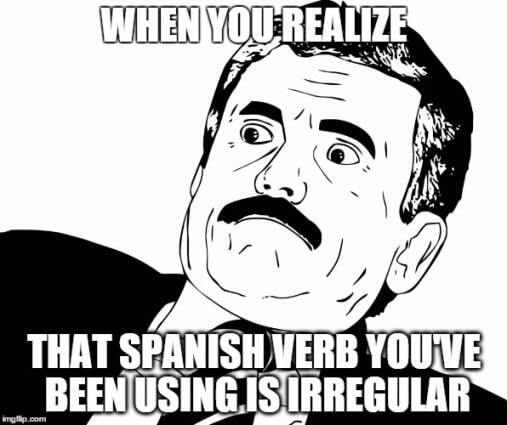 Spanish is one of the most popular languages spoken today, but its grammar has stopped too many learners in their tracks. Just looking at the 15 tenses and moods alone is usually enough to give any Spanish student un dolor de cabeza (a headache). But here’s the thing: Verbs are like the spinal cord of any sentence in Spanish. There are many different types of verbs in Spanish, ranging from simple verbs with regular conjugations to intricate stem-changes. Sounds fun, right? Well, this is exactly why this article was written. We are going to look into 33 difficult Spanish verbs which will help you sound a lot more like proficient Spanish speaker and writer. This “Practice Makes Perfect” edition is ideally suited for beginner to intermediate level students and will help you finally understand how and when use the appropriate tense and mood through everyday examples covering a wide variety of topics and about 250 engaging exercises. 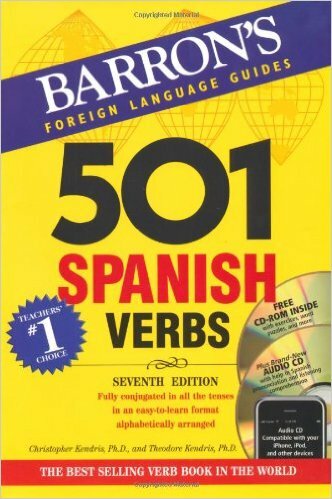 The principal behind this book is simple: Giving you an in-depth analysis of the 501 most common ly used verbs in Spanish and how to use them all in the 15 tenses and moods. 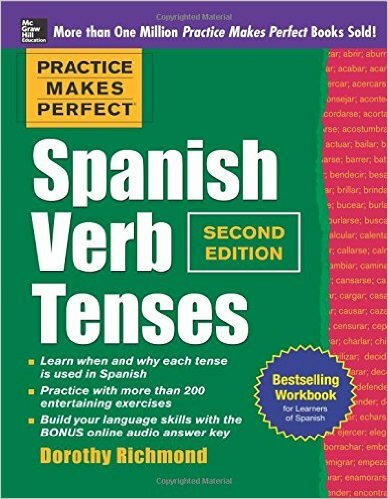 The new seventh edition includes brand new content covering passive and active voice formation, an additional list of 2200 regular verbs to improve your learning, sentences demonstrating Spanish verb usage in all tenses, a CD-ROM which includes language learning aids and an audio CD that reviews the formation and usage of Spanish verb forms. 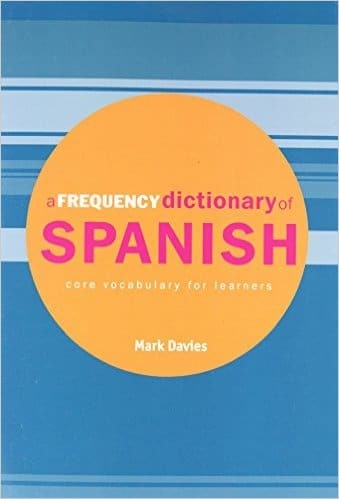 This extremely complete and up-to-date Spanish frequency dictionary provides you with a list of the 5,000 most commonly used words in the language. There’s a special section which provides a comprehensive list of the most used verbs (which is quite different from the list of the preceding book) along with their English equivalents and sample sentences. 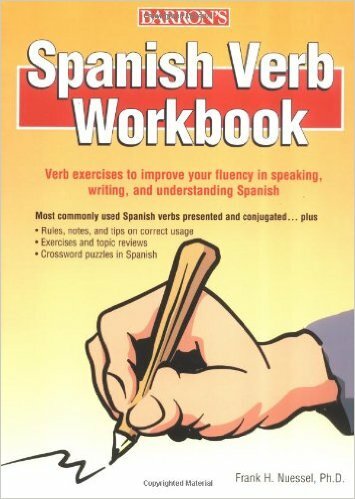 “Spanish Verb Workbook” by Frank R. Neussel, Ph.D.
Lastly, this Spanish workbook will have you actually put into practice everything you’ll come to learn about la gramática española (Spanish grammar). Each chapter will present you with exercises covering fundamental conjugation information and illustrative dialogues for you to master every tense and mood over a period of time. After this brief intro, let’s get right to the meat of this article! The first-person singular (the yo form) is irregular in the present tense. The stem changes to u in the preterit tense. The stem changes to i in the preterit tense. The stem changes to uv in the preterit tense. The stem changes to j in the preterit tense. This verb is a compound form of poner. It follows the same pattern. Note that the compound forms of these verbs are also irregular in the yo form. Compound forms are pretty easy to spot because they show a prefix (des-, dis-, com-, con-, etc.) preceding the radical. This verb is a compound form of hacer. It follows the same pattern. This verb changes from c to zc in the first-person singular only. This verb changes from c to zc in the first-person singular only in the present tense. Irregular form in the present tense. The stem changes to ue in the present tense. Irregular first-person singular form (the yo form) in the present tense, and stem change in other present tense forms. Irregular form with stem change in the present tense. So, there you have it! There was muchísima (a lot of) information in this post and you might want to bookmark this page so you can come back to it often and refresh your mind when you need to. The more you use these difficult Spanish verbs, the easier it will become for you to use and understand them when spoken out loud or in your reading materials. If you want to expand on this particular subject, feel free to refer to the recommended list of books included in the first section of this article. It’ll go a long way. If you like learning practical, memorable Spanish lessons like these, then you’ll love FluentU.